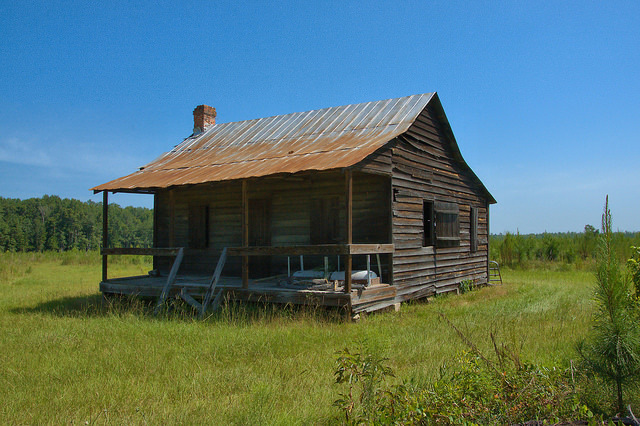 This has been well-preserved and is likely related to the turpentine industry. What a great classic example of the old tenant/sharecropper type shack. I love this picture. The wood shutters, the shed roof, the lap board siding, all bring back precious memories of my early childhood. I was born in a house like this one. The unpainted pine boards abounded outside and inside, and the floors smelled of homemade Ash-Soap that was used to clean them. The well worn floors had cracks in them, and in the winter, often you could feel a draft. Sometimes rooms were created by erecting white sheet curtains as separators. Usually these houses had a small side or back porch where there was a wooden shelf. Upon this shelf were a wash basin, soap, and a water bucket. A hand towel was hung on a nail near by. Usually a small mirror was located on a support post in the area. Everybody liked to wash their faces, hands and to comb their hair before coming in to eat dinner. The water well was next to the porch, making it easy to gain access when needed. A gourd or ten dipper was there too. Next to the back door entrance, there often were some nails fixed on the wall in a line. In those days, it was not proper for a man to wear his hat inside. That was thought to be ill mannered, so when one came in from working in the fields, the hat or cap was removed and placed on one of these nails. 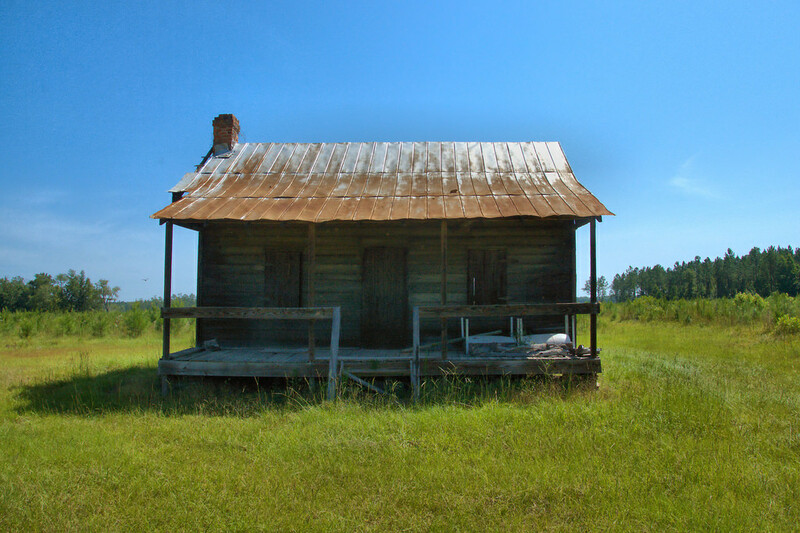 Long live sharecropper cabins. They are iconic and represent a significant bit of culture from an era long passed.